Wine lovers are beside ourselves at Christmas. Throughout the year we often re-shelve those special bottles in our collections “until the right time” or pull our purse strings tight while looking away from the ‘icon wines’ on the top shelf of a wine shop, all in a bid at frugality both oenological and budgetary. But for Christmas all bets are off. Below is a bumper festive selection of drinks that I think would be great for this Christmas, including some Christmas dinner-themed food pairings for each. They can all be enjoyed not just on the big day but around it too, for Christmas is never really a one-day thing, is it? Put away the Prosecco, Cava and other sparklers – you can’t but have real Champagne at Christmas. Yes, they’re more expensive, but then this is hardly the season of restraint. The two below are my favourites, and provide two different styles depending on your preference. The queen of them all. As glib as that sounds. I say it with all sincerity – you’d be hard-pressed to find any wine reviewer who doesn’t admire Bollinger, regardless of their overall preference. It really is a truly epic wine, and the “Bollinger Style” is recognised throughout the wine world: that is, powerful aromas and flavours of brioche, grilled nuts and butter over a full-bodied but balanced and fine palate. A very decadent treat. FOOD MATCH: Believe it or not but the beefier Champagnes like Bollinger can actually be enjoyed all the way through a meal, not just before it. Indeed, many say that drinking Bolly with food is the best way to enjoy it as a host of new flavours are revealed, so have a glass within reach during the Christmas dinner and experiment for yourself. There’s a story about Pol Roger, possibly apocryphal, that their marketing team is actively on the look-out for their brand being used in public life with the aim of actually reducing its exposure. That is, they try and prevent Formula 1 drivers spraying it from the podium, rappers including it in their songs, and so on, with the thinking that the history and quality of the Champagne should speak for itself. Their non-vintage “White Foil” is a fantastic blend of subtlety and finesse. Clean and precise, it’s creamy and refreshing with lovely floral notes but underlaid by some toasty brioche. A really fine drop. FOOD MATCH: Ideal with Christmas dinner starters such as smoked salmon, scallops and foie gras. I really should have saved the Louis Jadot ‘Couvent des Jacobins’ Bourgogne Chardonnay – which I wrote about in last month’s column – for now. It was my white “winter wine” choice but it would be ideal throughout Christmas too, so I might cheat a little and suggest looking over November’s issue of TheTaste for that recommendation again. Below are a couple of other similar whites; that is, those with a little more body and flavour to partner up with more substantial cold-weather food. Many will know and love Torres for their legendary Viña Sol which has just passed its 50th birthday, a testament to its enduring appeal. 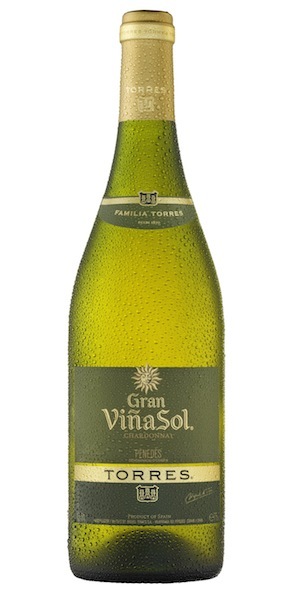 This is its ‘bigger sister’, consisting of the indigenous Catalan grape variety Parellada which makes up most of Viña Sol but with a dash of oak-fermented Chardonnay for body and complexity. The result is freshness and floral notes from the Parellada with silky buttery vanillin from the Chardonnay, a delicious double-act. FOOD PAIRING: Excellent as an aperitif but perfect with the turkey and its fruitier sauces. Rully (“roo-yee”) is a region in Burgundy and produce whites that are a great example of Old World and New World Chardonnay styles combined: this skips between the former’s buttery oakiness and the latter’s fresh tropical fruit to give a chameleon-like wine of undoubtable quality. It’s really clean with a nice mineral streak to set you up for the next sip. FOOD PAIRING: As well as the turkey, this wine’s pedigree makes it great also with richer seafoods – salmon and scallops for example – as well as nibbles such as chicken liver pâté on toast. Pinot Noir is the definitive food wine. Its mix of a light body but with good flavour and refreshing acidity makes it one of the most versatile wines to have with the melange of flavours that is Christmas dinner. Here are two good options. Burgundy is the home of Pinot Noir and where the best expression of the grape can be found, albeit at a price. 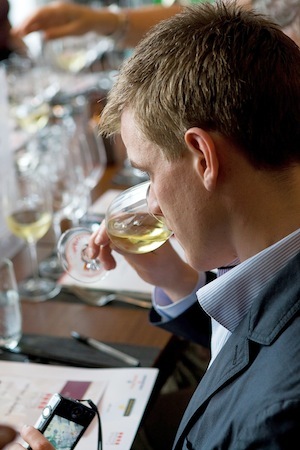 The more affordable bottles – simply labelled Bourgogne (i.e. Burgundy) – mostly don’t do the region any justice and tend to be thin and cheap-tasting in my experience. But recently I tasted the Antonin Rodet Bourgogne Pinot Noir, the best generic “Bourgogne” I’ve come across in a while. It’s noticeably light but has a lovely mineral streak over some delicate savoury flavours. 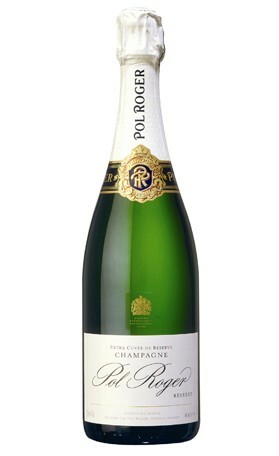 Refreshing and elegant and sure to be great over Christmas dinner. FOOD PAIRING: The ideal all-rounder with Christmas dinner for the Old World wine lover, in particular where more acidic sauces (e.g. cranberry) will be used liberally. I’m often asked what my favourite wine is, one of the worst things you can ask a wine lover. It’s like asking what your favourite song is: there is never one immediate answer and it all depends on mood, occasion, and a dozen or so other factors. But the Cono Sur Single Vineyard Pinot Noir is usually not to far from my lips if pushed for an answer. Sourced from – you guessed it – a single vineyard site near the Pacific in Chile, this is clean and linear with an interesting saline mineral streak. It still has all the New World Pinot Noir fruit up front but balanced out to give a really classy wine. FOOD PAIRING: Perhaps an even better all-rounder with the Christmas dinner, especially when ham is also involved, as the Single Vineyard’s fuller flavour means it can take more substantial ingredients thrown at it. If big and beefy is more your style then these two should do the trick. Ideal with more substantial Christmas dinners such as roast beef or lamb – or simply enjoyed by their own by the fire – these are sure to warm the belly and the heart. Ah yes, who doesn’t like Rioja Reserva? Its approachable silkiness with lots of flavour and full body make it an excellent go-to wine when something red and warming is wanted. Marqués de Riscal is one of the oldest and most esteemed in the region, so you’re bound to do right with 150 years of experience behind you. This ticks all the Rioja Reserva boxes of aromas of leather and tobacco with savoury meaty flavours over some vanilla sweetness and a palate that’s balanced and lip-smackingly dry. FOOD PAIRING: Rioja and lamb is one of the classic pairings, but it won’t shy away from either beef, roast or otherwise. One from left field for those who want to impress the guests. This is red wine from Portugal that isn’t Port, which the country is most famous for; instead it’s a dry wine from the Dão region, which is the word that you’ll find most prominently displayed on the colourful label. It’s very intense, taut and concentrated but with elegant floral and dark fruit flavours; the tannin is just right and calls out for food. Serve this up and feel smug, but just don’t try and pronounce the grapes in the blend: try getting your tongue around Touriga Nacional, Jaen and Alfrocheir! FOOD PAIRING: Definitely one for the more intense meats such as beef and game: think venison, duck, veal, etc. Port (the sweet kind) is the obvious choice here, but in a bid to be different again let me suggest an Italian wine style called Amarone. Historically unique to the Veneto region around Italy’s north-east (where Valpolicella is from) Amarone is made by drying out the grapes on bamboo racks where they lose 30%-40% of their water content, thereby concentrating the flavour. So what you get is a big, beefy, very concentrated wine, and Masi’s ‘Costasera’ Amarone is one of the best. Expect intense dried fruit aromas like raisins and sultanas with baked plum and cherry over a chocolaty palate. Its high alcohol level of 15% or so means it need to be enjoyed slowly, leading many Venetians to dub Amarone a “meditative wine”. FOOD PAIRING: Great for sipping on its own after dinner, but you can easily pour it during a meaty main course of beef, game or hearty stews. Very good with well-aged cheeses, such as parmesan, pecorino and gorgonzola also. I’m going to be quite subjective here and suggest Irish whiskey for later on in the evening. Yes, brandy would perhaps be a better call but I don’t quite have the taste for it yet, and though I can appreciate Scotch and experiment with it regularly, the sweet, mellow, easily-approachable style of (good) Irish whiskey is always my late-night tipple of choice. The Irish whiskey scene is exploding at the minute, which is fantastic news for so many reasons, not least because there are now loads of great artisan offerings available out there. But for me, Tullamore D.E.W. is a fantastically reliable brand that’s widely available and so worthy of recommendation here. Their 12 Year Old Special Reserve is a step up from their (also good) Original and has warming, spicy, Christmas-cake flavours of vanilla, cinnamon and toast.